I have received a number of questions, thank you, and thought it would be useful if I posted these questions and answers to you all. Questions are in plain text, answers in italics. What exactly should we do on the 10 pm meditation? And what is the pillar of light? On the 10th at 10pm be prepared to receive the final wave, which is to be grounded, so focus on the Ashtar code picture. Imagine a pillar of light which flows through your body from you feet to your head out to the sky and heavens above and down into the centre of Earth. I imagine that my pillar is so big it encompasses my whole body and aura and then some. Then follow the instructions and chant the mantra 13 times, then lie down for 15-20mins and receive healing that will help ground the codes through you into Earth. Which code picture should I look at when I am listening to the meditation Ashtar or Kumara? At first look at the Ashtar picture, then at some point over the following 90 days you'll feel drawn to look at the Kumara picture. Follow your intuition, there is no set days, you may feel drawn to Kumara immediately or not until near to the end of the 90 days. After repeating the sentence 13 times what should I do? Lie down for about 15-20 minutes and allow Ashtar, Sanat Kumara and the Inner Earth Temple Workers to help you assimilate the codes, ground them through you and into Earth. I am unable to listen to the recorded meditation, what should I do? The recording is simply a tool for you to use if you choose/are able to. It is not essential to listen to the recording for all you need to do is chant the mantra out loud 13 times, SLOWLY. How do I pronounce the mantra? It is written phonetically, therefore simply read it out loud as it is written and that’ll be perfect. I am going away what should I do about the 90 day mantra? Print it out, take it with you and try to follow it every day for maximum benefits. What might I feel at 10am and 2pm? Am I okay to work? At 10am and 2pm you might feel a little dizzy or light-headed, if you have received healing before you may recognise this feeling or you may feel nothing different at all. As my body has been preparing today I have noticed that, in particular, my base and sacral chakras are aching as they are preparing to expand into Earth and out to connect with each of you. So you may also feel an ache here tomorrow, ladies your menstrual cycle might be affected by this transmission. If at any time you feel rather ungrounded eat something grounding such as a little piece of chocolate, it’ll help more than a glass of water. The main advice for the next 3-4 days is eat well, eat clear foods, avoid heavy, rich food, red meat, alcohol etc but DO eat. Would the light being sent tomorrow affect everybody on the planet to some extent? And what about those who could not participate tomorrow? Would there be another opportunity to do so? Or could others, say who haven't heard about this, connect with the codes at any time after tomorrow? (Otherwise it could feel as if one was part of an isolated group?!) Or would connecting with the codes just speed up what everybody will receive gradually? This is the first of 3 waves of Earth Light Activation Code transmissions. The 2nd will be on the 20th May 2010, it will commence at 10am, with a 2nd wave at 2pm and a final wave at 10pm as the 10th February 2010. This transmission is available to all, especially those who have not experienced it before or who failed to follow the mantra for 90 days. Yet as it is a new wave of light if you have received the transmission on the 10th February 2010 and followed the mantra for 90 days, the awakening you will experience from this activation code will be even more enlightening. On the 10th October 2010 (10/10/10) you will once again have an opportunity to receive the final wave of 20:10 Earth Light Activation Code transmission. For this we ask that Ascending Angels host an hourly event at 10am and that as many of you that can attend for this will be a group grounding, a special event in which we will channel directly through Ascending Angels, directly to you, an enhanced transmission of Earth Light. If you are unable to attend, this is okay as there will be sufficient number present for all to receive the powerful Earth Light evolutionary code. From what has been said here, I believe that you can receive the transmission on any of these dates or all of these dates and that each transmission brings more light awareness into your consciousness. 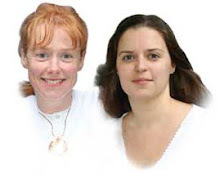 I have, this week, been receiving guidance on the One Heart Love Transmission, we will be running our first One Heart Love Transmission workshop on the 16th May 2010 at a venue in London, more details to follow at a later date. So we are the forerunners, this means that eventually over time everyone on this planet will embrace these codes, the more we ground them into Earth the more she can then pass them through all life. The guidance I feel is that we are being given an opportunity to take an evolutionary leap of light awareness that’ll change our understanding of our reality, then the more we live this new reality the more we can reflect it in others so they too will begin to wake up to more light truth and release the old ways, the old reality that is illusion.